After working Alongside Real Estate and Business brokers for around 10 years, with many brokers mentioning that we should start our own Portal for selling businesses given our marketing strategies, iEnhance has finally teamed up with Subtle Difference and RealOnline to produce A Business For Sale. Australia's newest business sales portal. 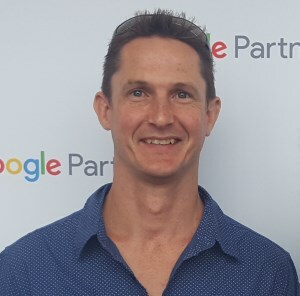 My name is Mark Edwards, digital strategist, and owner of iEnhance Pty Ltd, an Australian digital marketing company that has been around for over 11 years, specialising in Real Estate and business broker clients. My business partner is Stephen Neate, a highly skilled Software developer and creator of RealOnline, A top level real estate software package that has evolved over the past 15 years. After more than ten years working together in this space we decided to team up and create something that is missing for business brokers, a decent portal that works effectively for selling a business, not just as a listing outlet. A Business For Sale was created to drive traffic to the listings. We offer packages to help you sell your listing, not just have it display in fancy places (Although we do that too!). As a certified Google Partner company, iEnhance is in the position to offer up to date expertise to get your listings in front of the people that need to see them. We have created this portal to serve both the sellers of businesses, and buyers of businesses across Australia. With iEnhance specialising in driving quality traffic to the website, sellers can be confident that their listings will be seen by the right people. From a buyers point of view, the website is easy to navigate, and as Google Partners and specialists in digital strategy, it is likely that we will find you and send you to the business that you are looking to buy. Making your life easy! On launch, we have over 1300 businesses for Sale, which will definitely grow very quickly, as we already have some of Australias largest and well know business brokers on board. There are exciting things ahead in this space.